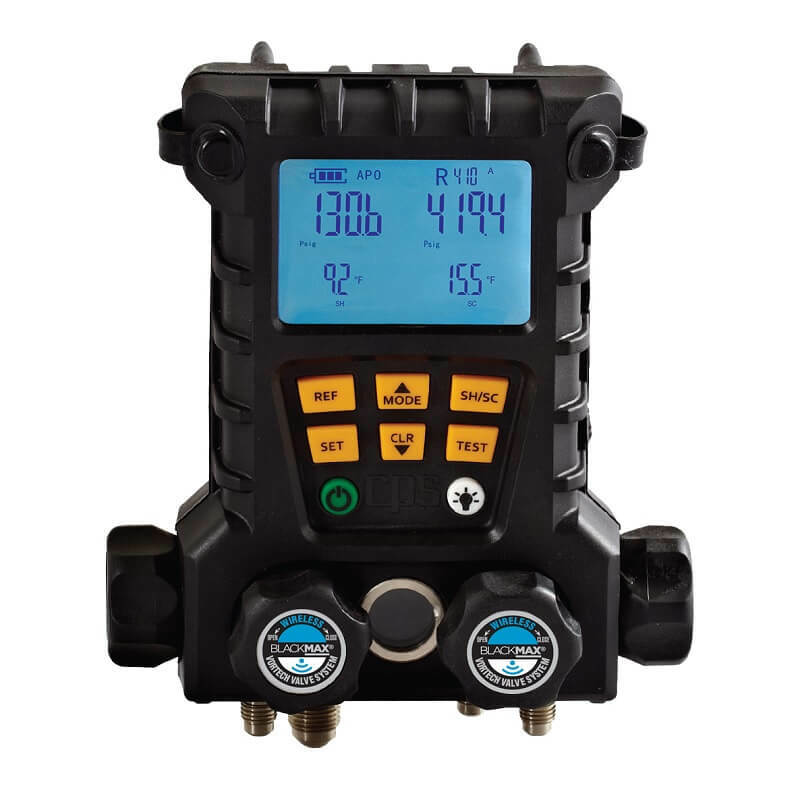 The CPS MD100W is a 4-valve, wireless, water-resistant, digital manifold that provides an accurate comprehensive analysis of an HVAC system including pressure, temperature, and vacuum (with optional vacuum gauge) for over 90 common refrigerants. 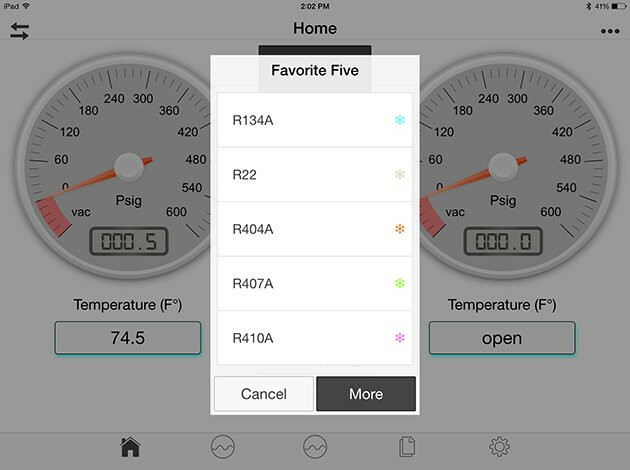 The BlackMax wireless manifold when using the free CPS Link App on a smart device can perform and monitor select system measurements in real time without physically touching the manifold from up to 300 feet away. 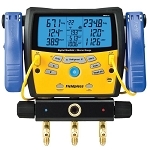 A service technician will be able to tackle any HVAC installation or repairs for residential or commercial systems with this ruggedly built electronic manifold. 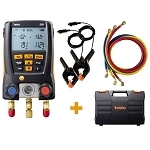 The BlackMax MD100W will provide a complete system analysis of an HVAC system including high and low pressures, temperatures, and vacuum (optional vacuum gauge MDXVG is needed.) 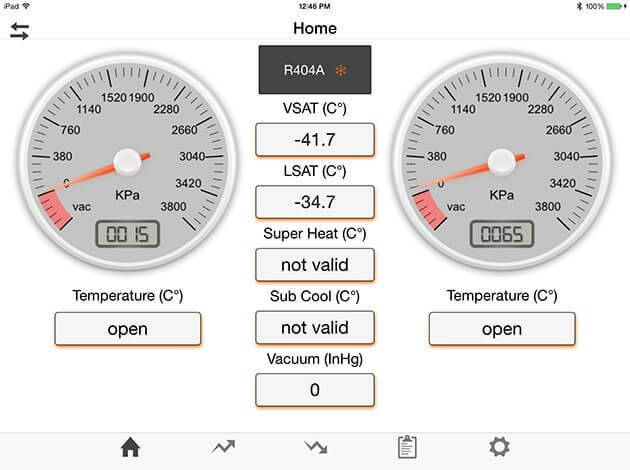 In addition, the manifold can perform vacuum and pressure hold tests to determine if there are any leaks. 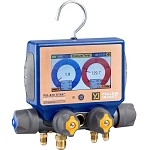 The MD100W HVAC manifold boast superior accuracy in its measurements. 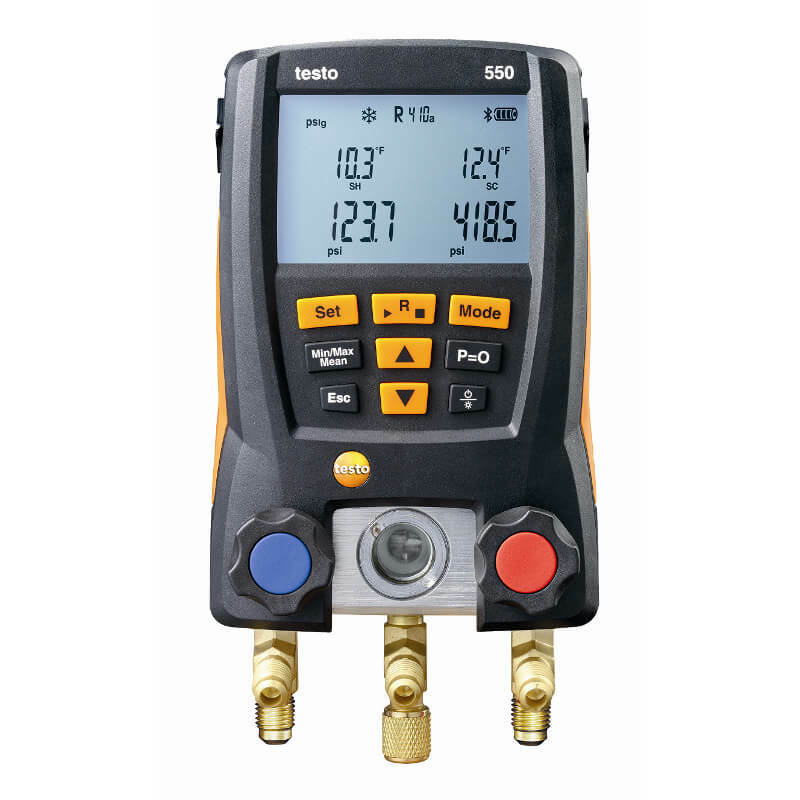 The pressure range is -14.5 to 800 PSIG (-1.0 to 55 bar) with an accuracy of +/- 1% of reading and a burst pressure of 1500.0 PSING. 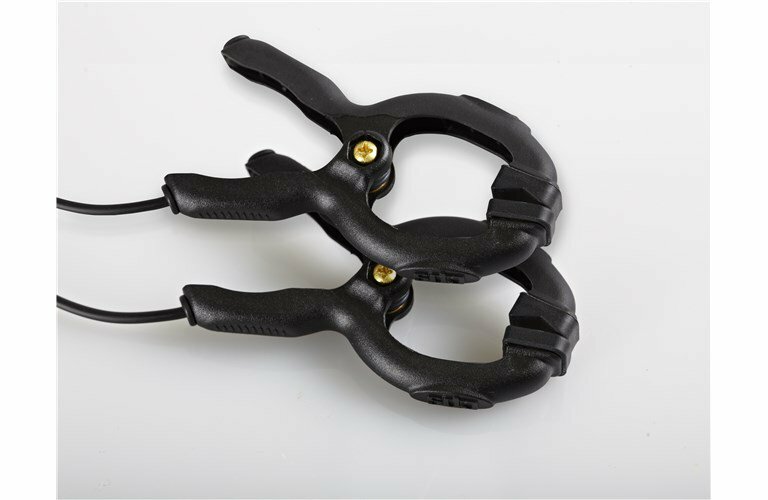 The manifold includes two temperature clamps that have superior thermistor sensors which give you a temperature range of -58.0 to 302 °F with an accuracy of +/- 0.4 ºF. 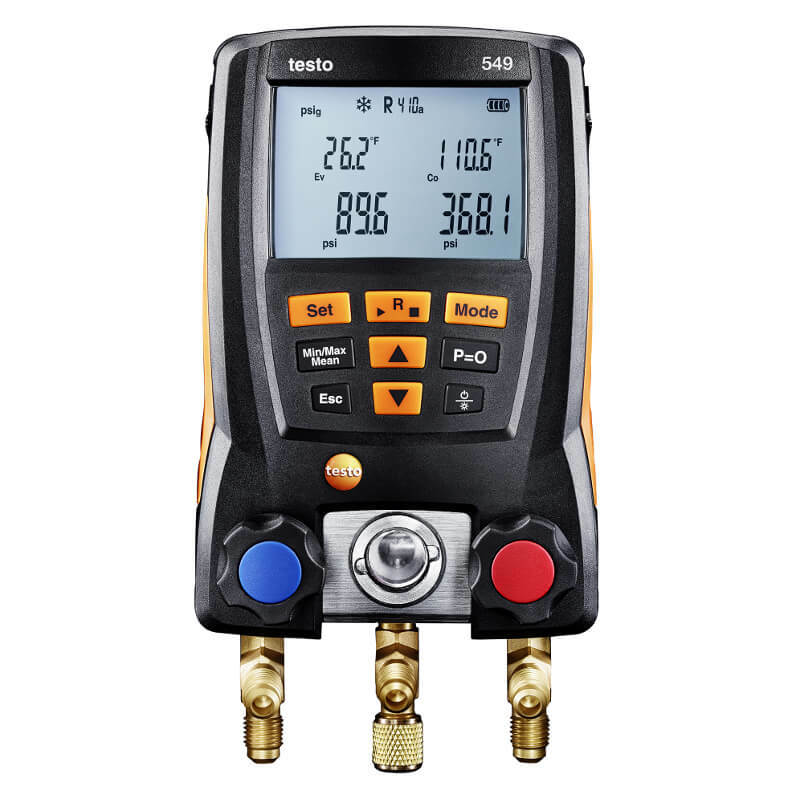 If using the optional vacuum gauge accessory, the manifold vacuum indication achieves an accuracy of + /- 10 microns with a display pressure range of 0 to 2500 microns. 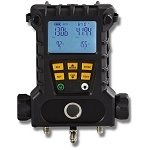 The wireless digital manifold can be used as a conventional manifold, but when connected wirelessly to any smart device using the CPS Link App, a technician has the convenience of running and monitoring the manifold from up to 300 feet away. 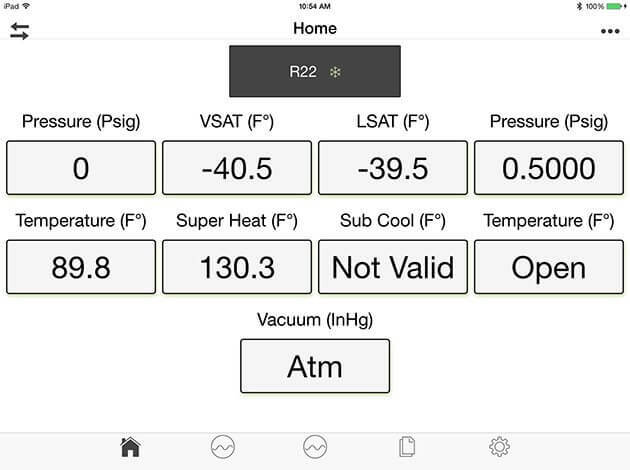 When using the CPS Link on a smart device, a technician will be able to data log, have a comprehensive view of system measurements, have graphical depictions of test functions, as well as perform and monitor the system measurements in real time. 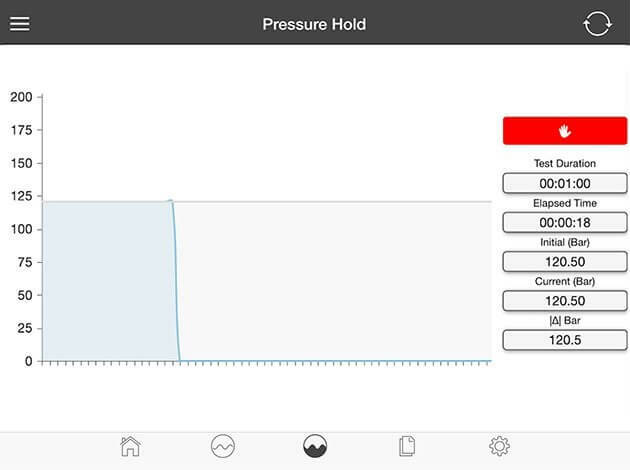 In addition, the app allows pressure or vacuum test to be saved, stored or emailed as a graph. 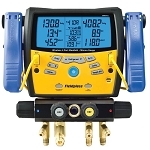 CPS Link allows HVAC/R technicians the convenience of running and monitoring a BlackMax digital manifold (from up to 300 feet away), while also providing additional capabilities not found in non-wireless versions. HVAC equipment needs to be tough to handle job related abuse. The BlackMax MD100W is made to endure the toughest abuse with its water-resistant, high strength, glass-filled nylon housing, its high-impact polycarbonate LCD window, and anodized aluminum manifold body to provide years of service for any technician. The manifold also comes with the CPS proprietary Vortech valve system which is certified to 10 microns. While the CPS manifold comes preloaded with over 90 of the most common refrigerants, it has one-touch access to your favorite 5 refrigerant to save time and is compatible with the R744 subcritical CO2 refrigerants. 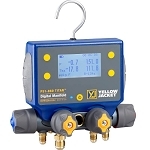 The manifold also includes some features that make it more convenient to use on a service call such as a swivel hook, post on the back to hold your temperature clamps, and hose hangers. APO (Automatic Power Off)10 minutes. Can be disabled by user.